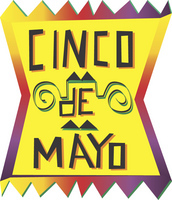 1 Cinco de Mayo means "Fifth of May" in Spanish. On May 5, 1862, the French army invaded Mexico. The French were sent to collect money that Mexico owed to their country. The French attacked the city of Puebla. The Mexican army was ready. They defeated the French. A year later the French returned. They took over Mexico City. The fighting continued for several years. In 1867, the French were defeated. The people of Puebla were proud that the French were defeated first in their city. Each year this pride is celebrated on May fifth.